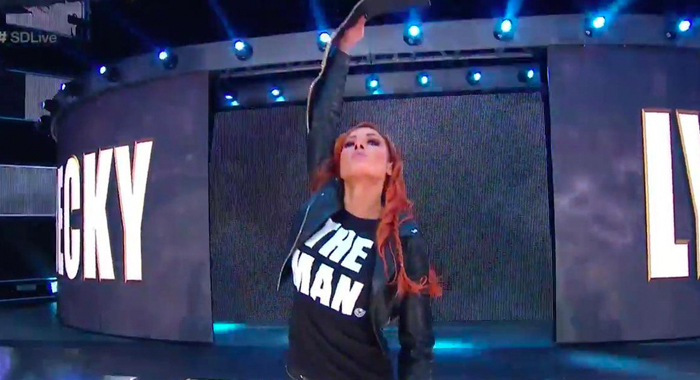 Heading into the Royal Rumble one of the major talking points is how WWE is going to book Becky Lynch heading into WWE WrestleMania 35. There are countless options that the company could take during tonight’s show and on the Road To WrestleMania in order to get Lynch into the expected slot, main eventing WrestleMania 35 in a match that is very likely going to feature Ronda Rousey. So, with that in mind, here are five potential ways that WWE could book The Man heading into the Grandest Stage Of Them All.